"Brings 'em running!" • Challenges Big Bucks with "Snort Chuckles" • Stops Running Bucks with "Barks" • Works Great With Decoys-"Brings 'em Running"! Comes with Instructional Audio CD. One call does it all. Calls elk, deer, coyotes, other predators, bear, antelope, turkey, quail, chukar, widgeon and more! Four time award winner. The most versatile wildlife game call in the world. It has been field tested and proven by sportsment, professional outfitters, wildlife biologists and outdoor photographers all over the U.S. Replaces over a dozen different individual calls with just one call. You've tried the rest... Now try the best! 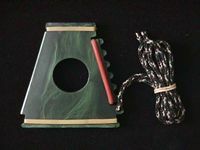 Instructional video, CD and replacements are available HERE. Produce a full volume and range of sounds to grunt in whitetails, mule deer, coues deer and antelope, bucks or does! 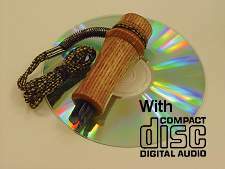 Patented reed design, with lanyard. Hunting big game out west is full of mental and physical challenges. Whether you're hunting in the desert, above the timberline or in the aspens, matching wits with North America's big game is challenging. 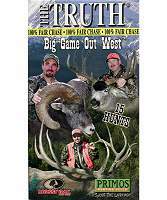 Come along with the Primos® Hunting Team™ as we take you on 15 fair chase hunts for a variety of big game. We'll take you on elk hunts in the Rocky Mountains of Colorado and Montana. Then we'll go on a Shiras Moose Hunt in Idaho and hunt mule deer in Colorado. We'll also go north to hunt black bear in western Canada, south to hunt antelope in New Mexico and we'll go on one of my favorite hunts for Rocky Mountain Big Horn Sheep in the John Long Mountain Range of Montana. See it all just the way it happened, as we hunt Big Game Out West™. 15 hunts, 2 hours. VHS format. WARNING! Use at own risk. MAY CAUSE DEATH or INJURY! RENZO’s Decoys are very REAL Looking. 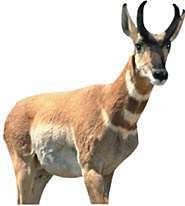 ANTELOPE BUCK. Instant set-up, ultra light, folds down, SHOOT-THRU/STALKING HOLE, durable, hangs from a branch or free stands. Awesome decoy on those long stalks.